Home 3T are Michael Jackson's nephews. The sons of Tito Jackson (2nd oldest Jackson brother), and the late Delores Jackson. Shellback 3T write most of their songs themselves. 9 Apocalyptica "It's Gotta Be You" is a very catchy pop pop song and features Herbie (Herbie Crichlow)! 10 Army of Lovers "I Need You" is a ballad and has backing vocals by Michael Jackson. 13 Avril Lavigne 1. Anything Written by Taj Jackson, Taryll Jackson and TJ Jackson. Produced by 3T. 15 BC Jean 3. 24/7 Written by Taryll Jackson, TJ Jackson and Gerald B. Produced by Gerald B. 16 Bo Bice 4. Gotta Be You Written by Denniz Pop, Max Martin and Herbert Crichlow. Produced by Denniz Pop and Max Martin for Cheiron Productions. 18 Britney Spears 5. With You Written by Taj Jackson, Taryll Jackson, TJ Jackson and Dean Pleasants. Produced by Michael Vail Blum, Dean Pleasants and 3T. Additional musicians: Robert Trujillo and Brooks Wackerman. 26 Cher Lloyd 10. Tease Me Written by Taryll Jackson and Gerald B. Produced by Gerald B. 28 Cyndi Lauper 12. 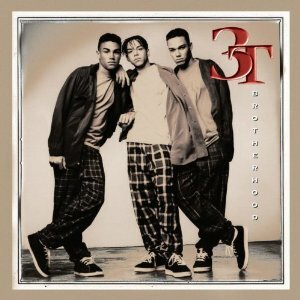 Brotherhood (feat Markie Dee) Written by Taj Jackson, Taryll Jackson, TJ Jackson, Mark C. Rooney, Mark Morales. Produced by Mark C. Rooney and Mark Morales and 3T. 33 Drain Babyface is Kenny "Babyface" Edmonds who has written hits for Boys II Men, TLC, Tevin Campbell, Bobby Brown and Whitney Houston and many more. 35 E-Type Dean Pleasants, according to Wikipedia, is a heavy metal guitarist and is currently the lead guitarist for Suicidal Tendencies. 37 Enrique Iglesias Note on the song "With You", the additional musicians are Robert Trujillo, who is the bassist for Metallica and was in Suicidal Tendencies, and Brooks Wackerman who is the drummer for Bad Religion. Damon Thomas is part of the production team "The Underdogs" with Harvey Mason Jr who have worked with Chris Brown, Beyonce, Tyrese, Fantasia, Justin Timberlake, Kelly Clarkson and more. 43 Herbie Mark C Rooney and Mark Morales also worked on Mary J Blige's debut album. 46 James Blunt I just noticed that on the Leona Lewis single "Better In Time" there is a bonus track called "You Bring Me Down" written by Salaam Remi/Taj Jackson/Leona Lewis.